Radon is the second leading cause of lung cancer in the United States. What’s even more upsetting is where it resides – in your home! Call the leading mitigation company in Littleton today to have your home tested and have mitigated by the most trusted and family-owned radon mitigation systems company in Colorado. We Are the Best Littleton Radon Mitigation Team in the Business! Federally acceptable levels of radon fall under 4 pCi/L. 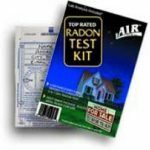 As your Littleton, Colorado radon mitigation experts, American Radon, LLC can help you determine if your home is safe for you and your family. Our process is time-tested and supervised by a graduate of Western Regional Training Center at the University of Colorado, (The WRTC Radon Training Center). This is one of the oldest radon training facilities in the business and is an EPA established Radon Training Center. Our lead installer is certified for Radon Measurement/ radon testing and Radon Mitigation in Littleton and licensed by the NRPP, (The National Radon Proficiency Program) for radon mitigation systems and radon mitigation in Littleton and beyond. Most of the time, with just some basic information about your home, we can accurately price a radon system right over the phone. Our upfront pricing policy and quick email estimates are just a few of the ways we make removing and testing radon in Littleton that much easier. Using certain diagnostic techniques that most companies do not take the time to perform, we can accurately choose the appropriate fan motor for each specific home we install radon mitigation systems in. 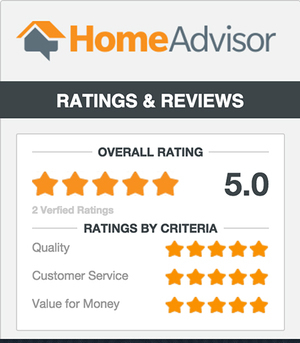 That, in combination with our energy star rated products. Most radon mitigation companies slap on the largest, most powerful (and energy using) fan they have regardless of whether it needs to be that powerful or not. Free Fan upgrades with our Radon Mitigation Packages in Littleton and beyond. Most Colorado radon mitigation companies charge up to $150 if they have to use a larger then average fan for the mitigation. Our radon system price will include any size fan motor with only one exception: The XP501 is a specialty fan motor designed for extremely compacted dirt and clay (non-permeable soil), and is only used in situations when absolutely necessary. This fan costs our company an extra $100, which is exactly what we charge our customers for the upgrade. Since we do not make a profit using these fans, we do not try to “upsell” or use them unless the soil conditions call for it. With every radon system install in Littleton, we will include a post-mitigation test, lab fees, priority postage, and detailed instructions on how to set up the test, and pay for Priority shipping to expedite your results. This way you’ll be able to see the difference that our system has made for your family as quickly as possible. Our customer’s safety is our top concern, which is why we provide the Priority mailing service at no extra cost to you. We provide Colorado residents with as many facts about radon and radon systems so that you can make an informed decision. We are up front and completely transparent with our customers in regards to pricing, logic, installation design, and how we do radon testing. We don’t want people to feel pressure or scared to make a quick decision when choosing a local Littleton radon testing and mitigation company. Our competition, in our experience, tries to “close the deal” on the phone, using whatever they can to intimidate or scare the homeowner. In the interest of serving our customers to the best of our ability, we will never sell your email address or any of your information to a third party. Customers will be able to contact the technician that will be working on their home directly with questions/concerns. We will repair or refurbish any radon system; even systems installed incorrectly by another company. Fully transferable warranty – the systems warranty stays with the system no matter how many times the ownership of the home changes. We guarantee the bulk of the system, wiring, caulking, piping for 15 years. The fan comes with a 5-year warranty by the manufacturer. Unlike companies that follow 9-5 M-F schedules, we are there for you whenever you need us. We offer a full schedule of services and support over the weekend at no extra cost to you. We understand that people work, and we want to make getting radon mitigation in Littleton as easy as possible. You’ll never pay extra for this service; it’s just what we do. Every system is installed with a focus on minimizing the impact on the homes energy consumption and the aesthetics of the home. We will also be designing systems for commercial building and new constructions. The exterior portion of the system can be painted to match the home. Other companies can charge up to $75 for this service, but with American Radon LLC it is always complimentary. All we need from you is to provide the paint. Are You a Realtor? Need a Radon Expert? We know that radon isn’t on the radar of many homeowners, but we think it should be. A safe home should be one of the biggest selling points of a new home purchase. There isn’t a better way to do this than to have a radon mitigation system added to your listings. Call us and find out exactly how we can bring more value to a property by protecting your clients with our radon mitigation for real estate agents.